What About China's Dirty Secrets? As he makes his first visit to China, the president will be grilled about loans and deficits. Sophie Richardson on why Obama needs to turn talk to Beijing's state secrets and "black jails." Human rights have deteriorated markedly in China since President Obama took office, particularly for the country’s vibrant but beleaguered civil society—journalists, lawyers, health, human rights and religious advocates. To help reverse this trend, President Obama should take up with President Hu Jintao each of the five human-rights areas he spotlighted in Suntory Hall. • PEN ALERT: Free Liu XiaoboOn “the freedom to speak your mind, and choose your leaders,” President Obama should ask President Hu to release Chinese activists who have been jailed or detained for exercising this basic right. Liu Xiaobo, for example, was arrested last December for coauthoring Charter 08, a pro-democracy and human-rights manifesto. In June, he was formally charged with “incitement to subvert state power,” a charge often used to silence critics of the Chinese government. On the “ability to access information,” President Obama should raise the case of Tan Zuoren and Huang Qi, two activists also facing charges of subversion. Their crime? Investigating the deaths of schoolchildren in the May 2008 Sichuan earthquake and posting their findings online. China’s “Great Firewall” prevents the country’s 338 million Internet users from freely accessing information on the Web, while the censorship of the press, television, and radio is equally pervasive. On the “ability to worship how you please,” President Obama should ask President Hu to ensure the respect of China’s own constitution, which guarantees freedom of religion. In spite of this provision, Buddhist followers of the Dalai Lama in Tibet, Uighur Muslims in the Xinjiang Autonomous Region, and Christians in underground “house churches” face numerous restrictions to their freedom of faith. On the “confidence in the rule of law,” President Obama should urge the Chinese government to abolish the practice of renewing lawyers' licenses annually—a way to disbar courageous rights-defending lawyers who bring cases that expose government abuses. He should also address the state secrets law which so often is used against peaceful critics of the government. On the “equal administration of justice,” President Obama should denounce recent executions and the complete lack of due process in the trials of Tibetans and Uighurs arrested after protests in March 2008 and July 2009. Finally, as the Chinese government welcomes President Obama on his first official visit, thousands of Chinese suffer in secret, unlawful detention facilities known as “black jails,” the existence of which the Chinese government unconvincingly denies. In a new report this week, Human Rights Watch has interviewed dozens of people who were grabbed off the streets and detained in these prisons, used primarily by provincial and municipal officials as a means of stopping their citizens from complaining to national officials about abuses like illegal land grabs and corruption. Detainees— men, women and teenagers— are often physically and psychologically abused. Many are denied food and sleep, and fall victim to theft, extortion or sexual abuse by guards. Said one 43-year-old man of his 55-day detainment: "I was beaten [by guards] every three days... they said I didn't respect their work. I couldn't endure it and several times considered suicide." President Obama should call for the dismantlement of these illegal detention facilities, and ask China’s leaders to make rule of law reforms a top priority. Even as he meets with senior government officials in China, President Obama should remember to advocate for human rights of the people of China. By making these requests, he can show that he is willing to walk the walk—not just talk the talk—on human rights. 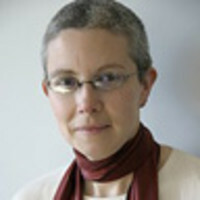 Dr. Sophie Richardson is the Asia advocacy director at Human Rights Watch.